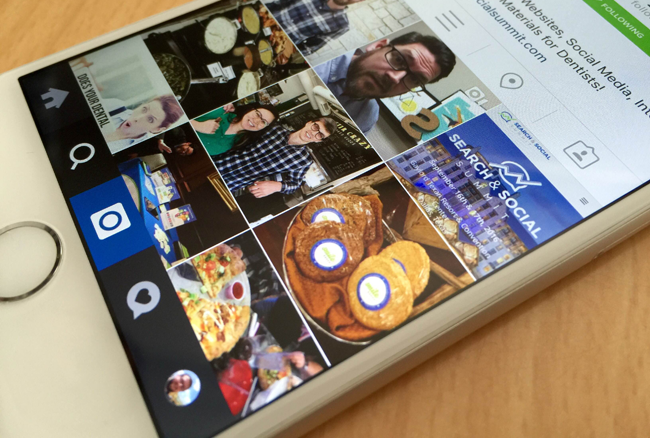 Instagram is going through some major changes that you should be aware of. As you know, Instagram is owned by Facebook. 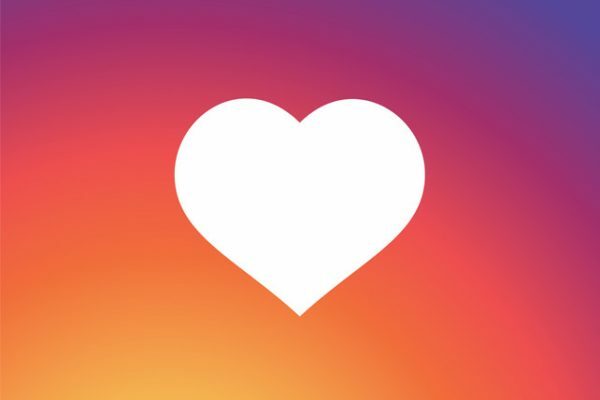 And just like Facebook, Instagram is preparing to change what you and your followers see in your timeline. Here are the essentials you should know about this change and how to prepare for it. Instead of showing you every post from the people you follow and the Pages that you have Liked, Facebook uses an algorithm to determine what it thinks you want to see. The Facebook algorithm, which is simply a mathematical formula, uses factors such as your relationship with the person posting, the age of any given post and your engagement with previously posted content to show you posts that are deemed relevant to you.  While Instagram currently shows your every post from everyone you follow in chronological order, announcements have been made that this is about to change in favor of an algorithm similar to the one Facebook uses. The only way for your followers to see everything you post is to encourage them to turn on notifications for your profile. That process is simple. At the top of all of your posts there is a menu represented by a down arrow. 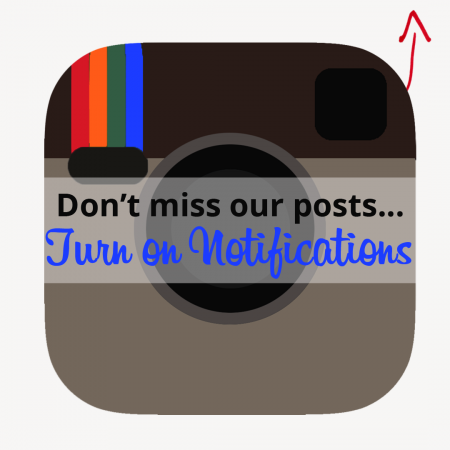 Encourage your followers to tap that area and select “Turn on Post Notifications”. 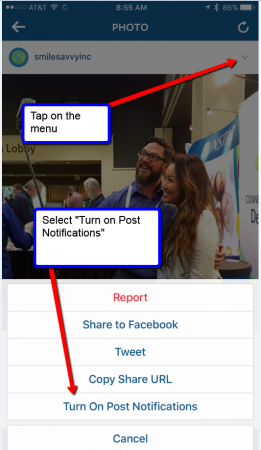 (See the sample post below) By doing this, every time you post, your followers will receive a notification on their phone. Just be certain that you’re posting content that your followers want to see. 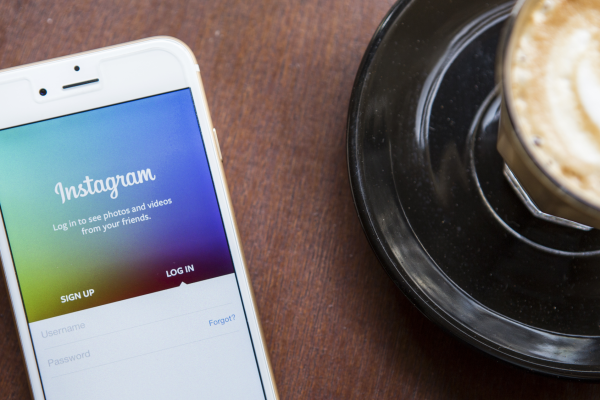 Instagram hasn’t indicated exactly when this algorithm will go into effect. Ultimately, posting quality content that provides value to your followers should be your top strategy in gaining followers and growing your social media presence. Contact Smile Savvy and let us show you how your dental practice can be successful online. Thanks for sharing this. Social media can be an amazing tool for many businesses, including a dentist’s practice, but they need to know how to use each site effectively.